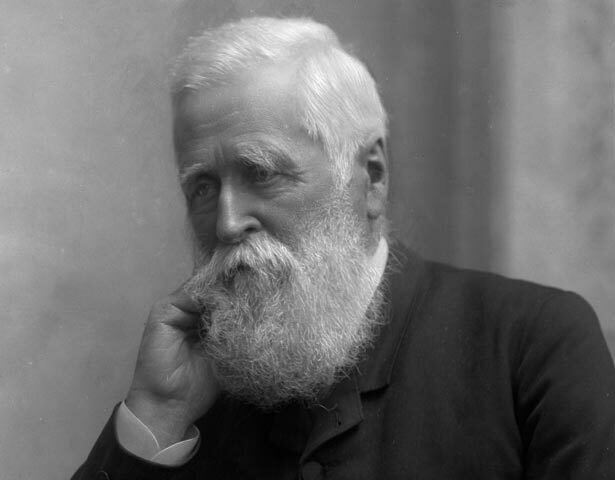 William Fox headed New Zealand governments four times. A rug-puller rather than a bridge-builder, he seemed happier when in Opposition and allowed ministers such as Julius Vogel to dominate his short ministries. In 1842 Fox married Sarah Holcomb and sailed to New Zealand. He intended to work in the law but after falling out with the chief justice, switched to journalism, a common route into politics. Although in the late 1850s some critics had accused him of being overly sympathetic to Māori, in 1864 Fox was part of the government that confiscated nearly three million acres (1.2 million hectares) of Māori land. He later defended this, and blamed Māori for starting the wars. He had by now abandoned his earlier provincialism, and headed the government (dominated by his Treasurer, Julius Vogel) that launched the massive public works and immigration drive of the early 1870s. His later career was rocky. After leaving Parliament in 1881, he campaigned against alcohol and for votes for women. Despite his contribution to politics, he is probably better remembered for the watercolours he painted while exploring the young colony. A glacier and town (Foxton) are named after him. We have 2 events in history, 37 biographies, 6 articles, related to William Fox.